Households that spend more than 30% of their income on housing are considered burdened and may not have money for necessary expenses such as food, clothing, or transportation. Burdened households have a lower quality of life and are less equipped to navigate unexpected financial crises. By ensuring that all of our neighbors have access to affordable housing, we can create a more prosperous Louisville. Louisville currently ranks 5th among its peers in rates of severe housing burden with 30.9% of its residents spending 30% or more of their household income on rent or mortgage expenses. On this metric, Louisville ranks among the top tier of its peers according to a natural breaks algorithm. Cities in green are those that outperform their peers, cities in yellow represent the middle cluster, and those in red are a group that lags behind its peers on this indicator. 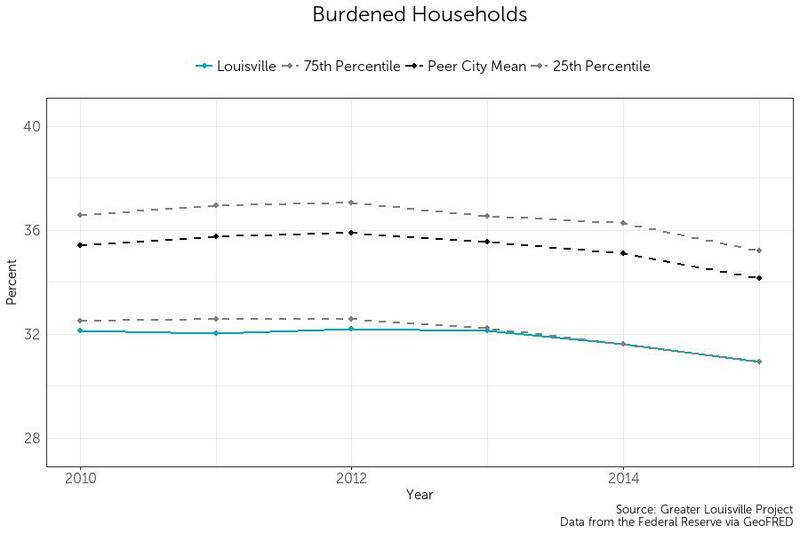 The rate of burdened households in Louisville has been decreasing since 2009. 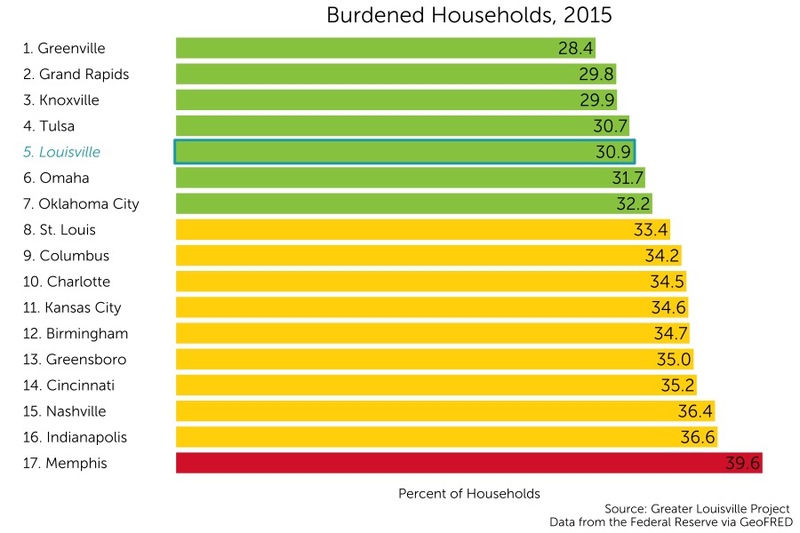 During this same period, Louisville has remained in the top 25th percentile of its peer cities in rates of burdened households.